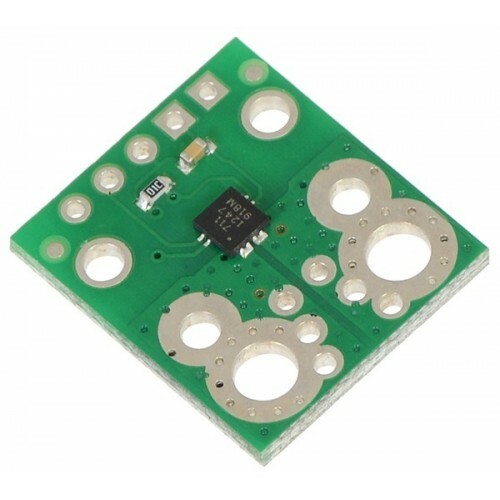 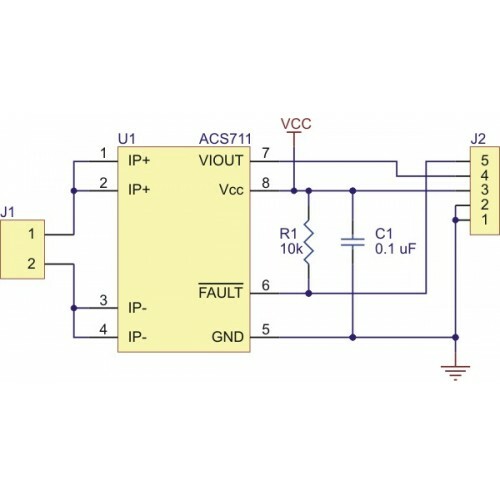 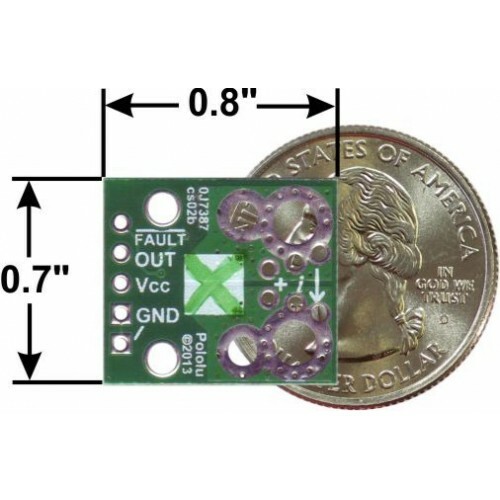 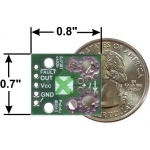 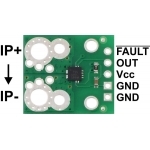 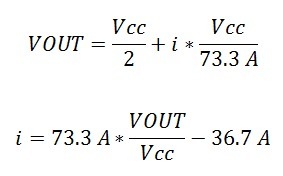 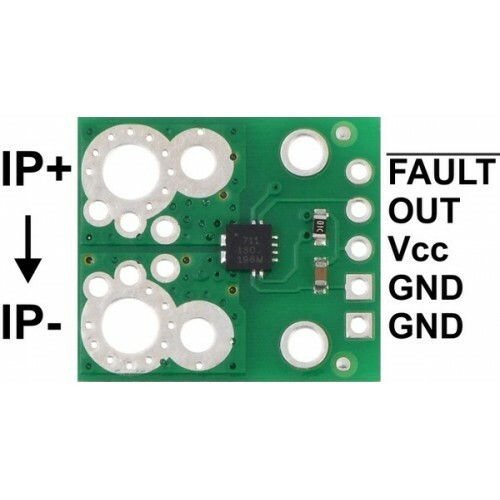 The input current can be connected to the board in a variety of ways. 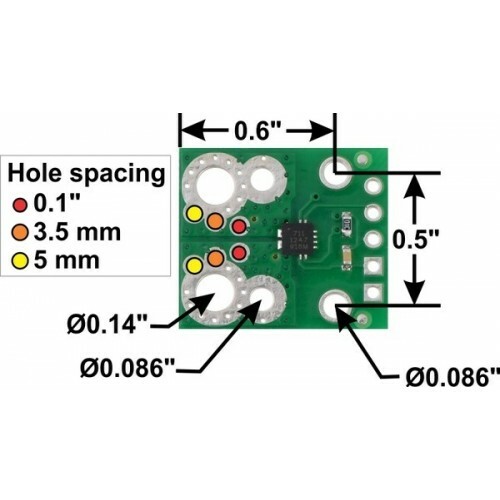 Holes with 0.1″, 3.5 mm, and 5 mm spacing are available as shown in the diagram above for connecting male header pins or terminal blocks. 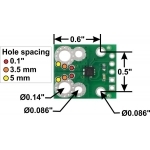 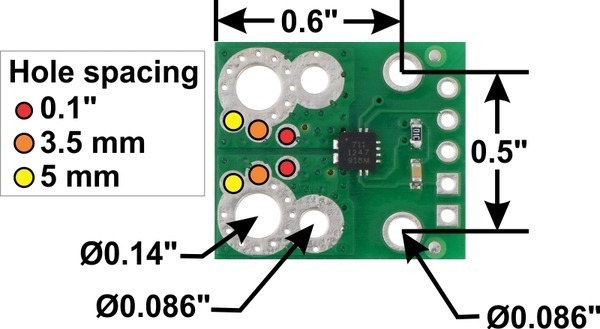 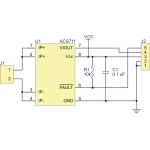 For high-current applications, you can solder wires directly to the through-holes that best match your wires, or you can use solderless ring terminal connectors.